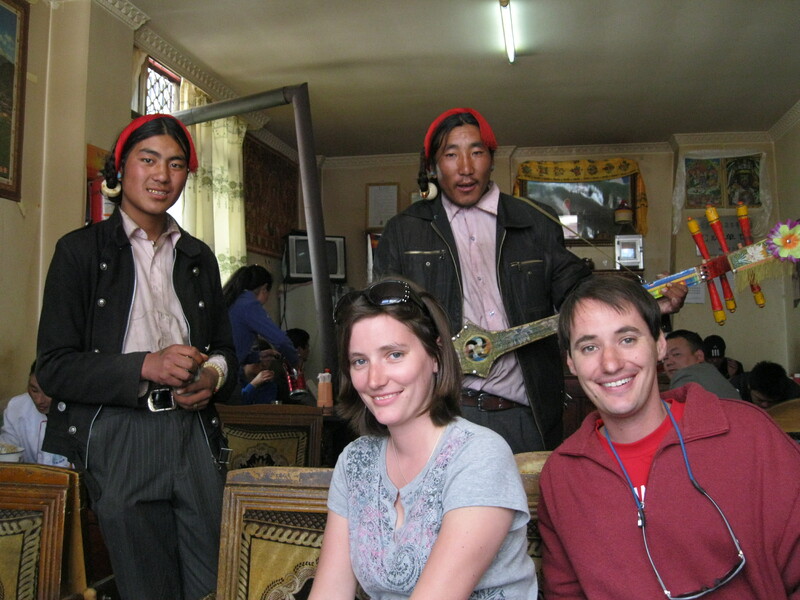 Lhazing around Lhasa | Where is Yvette? Let me make one thing clear: despite being a part of China for over 50 years and having 8 Chinese to every Tibetan and having Chinese writing placed in greater prominence to the Tibetan signs, Lhasa does not feel like a Chinese city at all. Chinese army men on every street corner holding AK-47s and smoke bombs and who knows what else may also have something to do with this disturbing illusion, because this is a common sight in places with no civil unrest right? From the second we walked up to it perched on its hill above the city, I knew it was a marvel and perhaps my new favorite palace on the planet. I mean who wouldn’t want to live here?! Climbing up to the top of this place on the steps was also a great introduction to what traveling at 12,000 feet (~3,500m) was going to be like. It was steep, and we huffed and puffed the whole way up! 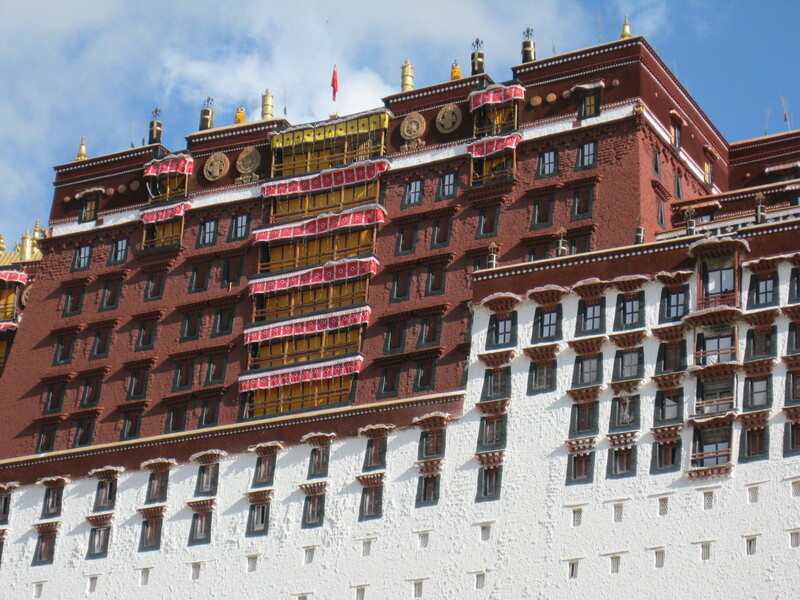 And then you discover something amazing: while the outside of the Potala Palace is a marvel in itself, it’s really the inside that is the wonder. 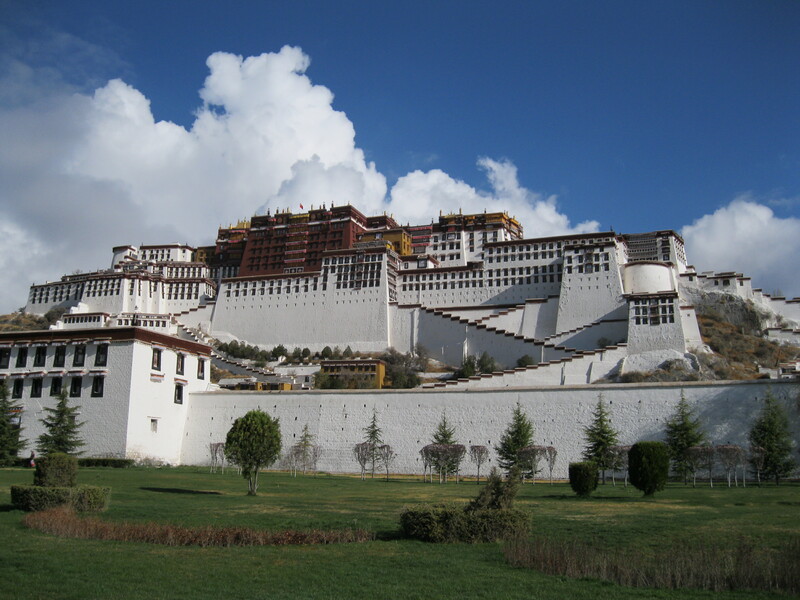 While most of China was devolving into communal madness during the Cultural Revolution and destroying everything historic in sight, the general in Lhasa at the time decided the Palace was too beautiful to destroy and sent out his own troops to protect it. And a good thing too: the statues are ornate, the paintings exquisite, the golden stupas which are the tombs of Dalai Lamas past contain up to 3,000kg of gold and over a thousand precious stones (in one, that is, not all together). Beyond incredible. Of course the elephant in the room is this is supposed to be the home of the Dalai Lama, and the current one fled to India. They still have everything set up as he last left it though- maybe the Chinese are just hoping he popped down to the corner market for some milk- but everywhere they have the picture of the thirteenth Dalai Lama who died years ago instead of the current one. Now Tibetans say technically it doesn’t matter whose picture you put up as they’re all just a reincarnation o f their spiritual leader, but it makes you wonder about the usage in this case. Anyway, after the palace it was time for some lunch and our Tibetan guide took us to a local Tibetan joint for some yak dumplings, which is where these minstrels wandered in. And by local I assure you I mean local– people staring like we’d come from the circus, no one speaking a word of English, that sort of thing. Oh and they were all Tibetan- most of the Chinese live more on the outskirts of Lhasa, and they don’t exactly mix so why would our guide take us there? A word on our guide, T, by the way- name withheld to protect the fantastic. He grew up in a rural area near Mount Everest and as the oldest of seven children he was sent off at age 7 to study English for five years under the wing of his two uncles who were monks in Nepal (and by “sent off” I mean “snuck across the border in the dead of the night”). So now he’s a tour guide instead of a farmer like the rest of his siblings, making much more money than they ever will, and he was not shy at all about telling us in black and white terms what life is like in repressed Tibet. Even in the heart of Lhasa he’d casually mention things that made Patrick and I exchange “did he just say that?” looks. 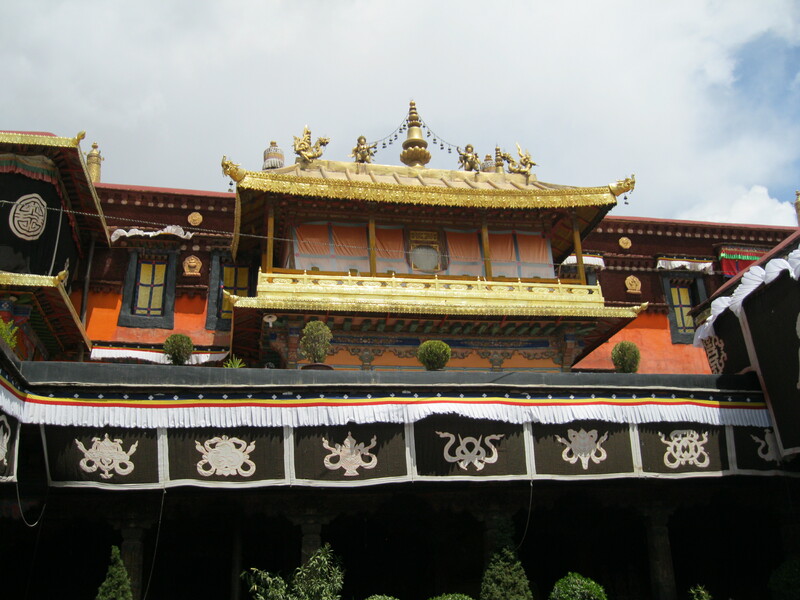 It’s kind of hard to get a good picture of the temple as the outside doesn’t look particularly spectacular (though this gilded balcony in the courtyard where the Dalai Lama used to appear is quite nice), and rather what’s important once again is the inside. Lots of sculptures, but most notable is a sculpture of Buddha in the middle which is said to be made from Buddha’s true likeness, and Tibetans believe seeing the statue is like having an audience with the Buddha himself. The entire temple is filled with pilgrims who spill out into the outside, worshiping so reverently that some have blisters on their foreheads from kowtowing. Tibet is truly a fascinating and exotic place- and this was just the beginning of the adventure! More later. 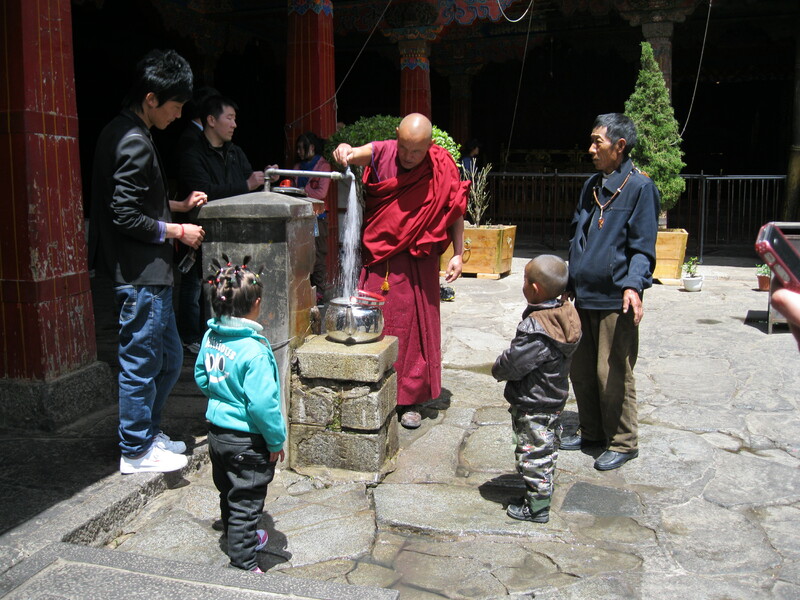 This entry was posted in China, RTW #2, Tibet. Bookmark the permalink. Wow! This is amazing. I’ve wanted to go to Tibet for the longest time. Thanks Laura! Still have a LOT of Tibet to talk about don’t worry- several posts worth, I’m sitting in Kathmandu for the next few days with little else to do except update! I’ve been dreaming of going there… thank you for sharing. Thank you. I won’t lie, it was hard to get there between all the permits and the train ride etc etc, but not all things in life should be easy I think. 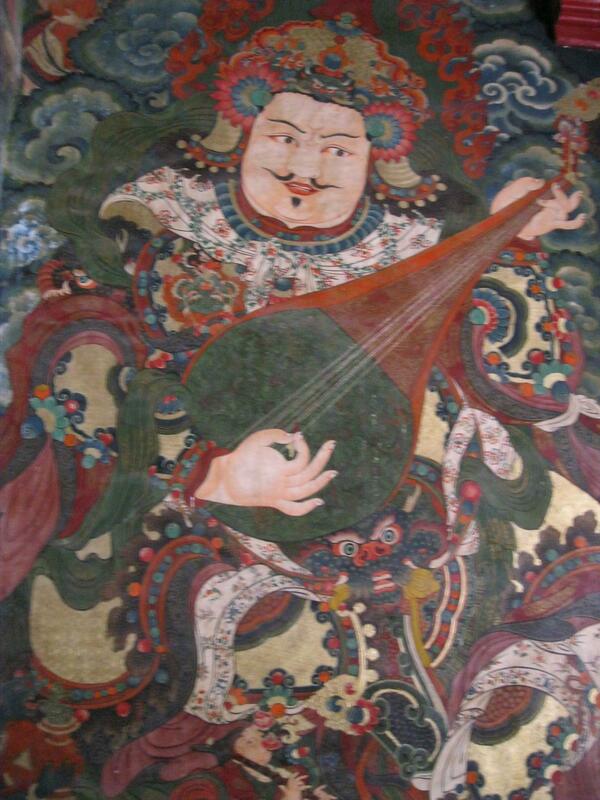 I’m actually going to Tibet in May with a tour group, and after looking at your pictures I’m even more excited to go! Oooh awesome! Have you got it all booked etc yet? Because word on the street in Tibet is they’ll be shutting the place down against tourists in May/June for a few weeks (anniversary of Tibet getting taken over and the Chinese president wants to visit Lhasa), but figure if they let you book you’ll be ok.
Btw seriously, get high altitude meds and take them! My best advice for sure on the place.